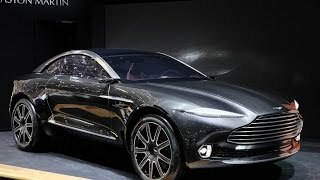 This new all wheel drive Aston Martin Coupe with good ground clearance is definitely a perfect concept from the company. 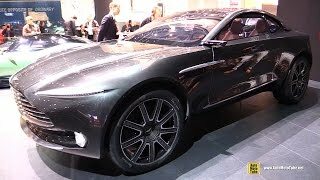 Looking at 2015 Aston Martin DBX Concept any car lover would fall for the perfection in its design and the expectations through anticipations will get a hike. Though the fact can’t be denied that with the release of this concept thoughts like any pendulum are swinging between of it being future grand touring model or a way Aston Martin is looking to break the ice into EV conversation. However, nothing can be said as of now, except the review of 2015 Aston Martin DBX Concept. The interior of Aston Martin DBX is very well covered in Nubuck leather, giving you the feel of velvet and this includes the steering wheel and the pedals. Part from this rest of the interior holds work of aluminum, same as the one used in designing exterior of DBX Concept 2015. Talking about the features and tech add-ons the concept model portrays a panoramic roof with smart glass featuring auto-dimming, in place of exterior door mirrors cameras are placed and yes not to be sidelined, a display above visible and usable for both driver and front passenger. 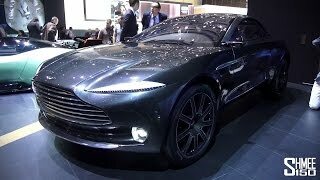 While talking about the exterior of Aston Martin DBX Concept 2015, the enlarged signature grille and narrow headlights together make a beautiful iconic front fascia. 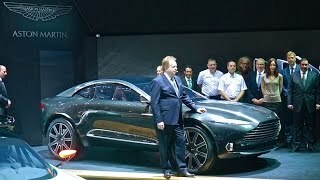 Another thing that can be noticed is taller ride in comparison to rest of the Aston Martin models and extensive use of aluminum in making of body. This will give model lightweight and perhaps will improve the performance part. To add badges to your attraction, the roofline does the rest of task. Moving towards the rear you’ll notice broad taillights, upward swinging doors and the big fender vents combining together and making the exterior bold and dynamic. 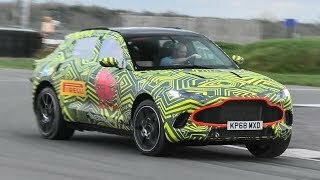 Not much has been disclosed under the performance tag but the Aston Martin DBX Concept 2015 uses innovative engineering. The model doesn’t needs any engine compartment as it uses electric, inboard-of-wheel, motors powered by lithium sulphur cells. It also has drive by wire electric steering wheel and for safety and control the KERS and rear view cameras fill the gap. Talking about the competition for this concept, in the battle field it might find Lamborghini Urus and Tesla Model X.